Good Treatment For Mental Illness Still Scarce In U.S. Prisons : Shots - Health News Nearly three years after the state of Illinois agreed in a court settlement to revamp mental health care in prisons and provide better treatment, a judge says the care remains "grossly insufficient." The Joliet Treatment Center, southwest of Chicago, is one of four facilities now providing mental health care to some of Illinois' sickest inmates. It's a start, say mental health advocates, but many more inmates in Illinois and across the U.S. still await treatment. "It was pretty broke down — the whole system, the way they treated us," says the 43-year-old Rasho, who has been diagnosed with several mental health conditions, including severe depression, schizophrenia and borderline personality disorder. Rasho says little things would trigger him, and he'd react violently. Although he'd been sentenced to prison initially for robbery and burglary, his sentence was extended over and over for assaults on prison staff. "Even if they would label us schizophrenic or bipolar, we would still be considered behavioral problems," Rasho says. "So the only best thing for them to do was keep us isolated. Or they heavily medicate you." "They're not the worst of the worst. They're the sickest of the sick. ... Maybe they weren't even that bad before they got in, and they just get worse and worse. It's a tragedy — absolutely immoral — to see that happen to people." Dr. Stuart Grassian, psychiatrist, Chestnut Hill, Mass. But a federal judge has ruled that care remains "grossly insufficient" and "extremely poor." The agency has not hired enough mental health staff to provide care to everyone who needs it, and inmates with mental illness suffer as they continue to wait for long-overdue treatment. "You're looking at the population of a state psychiatric hospital," says Grassian, who has met hundreds of inmates like Rasho who have served long sentences in extreme isolation. "They're not the worst of the worst," Grassian says. "They're the sickest of the sick; the wretched of the Earth. Maybe they weren't even that bad before they got in, and they just get worse and worse. It's a tragedy — absolutely immoral — to see that happen to people." And when prison inmates don't receive the mental health care they need, they're more likely to cycle in and out of the criminal justice system. "When you walk through these galleries, you get overwhelmed by the pain and suffering that you see in front of you," says Mills, director of the Uptown People's Law Center in Chicago. "Corrections in Illinois was a little slow to recognize we are the mental health system for Illinois," says John Baldwin, who directs the state's corrections department. "Whether we want to be or not, we are; and we have to start acting like it." 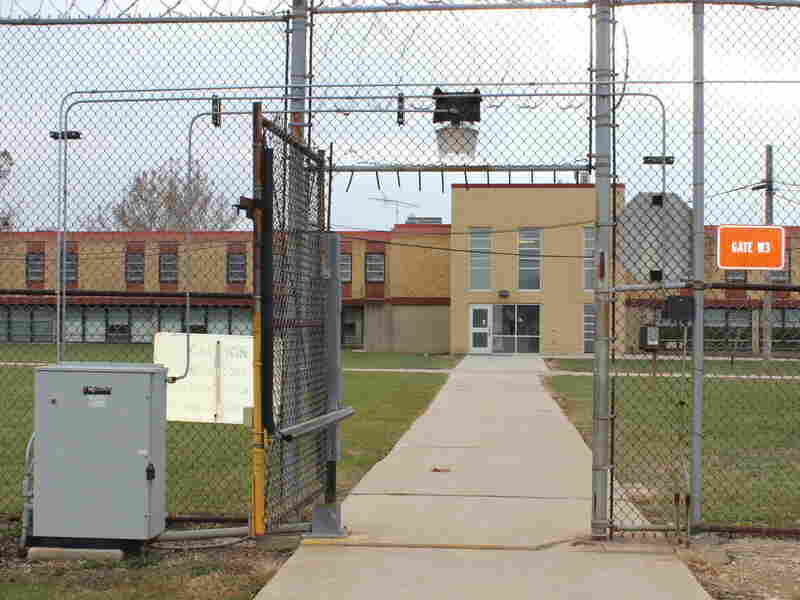 Nearly 800 Illinois inmates with serious mental illness have been transferred to Joliet Treatment Center and three similar treatment facilities. The campus includes single-story "dorms," a dining hall, a gym and a vocational building. It's also surrounded by two layers of barbed wire fencing. But Mills points out: That's a small fraction of the 12,000 who are mentally ill.
"And for the vast majority of those, not a lot has changed," Mills says. "They simply aren't getting the kind of treatment they need in order to improve their situation at all." 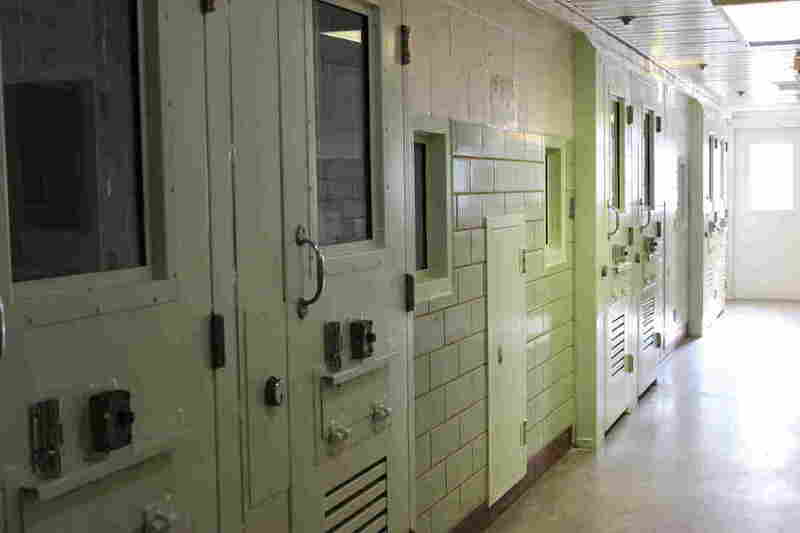 The Joliet Treatment Center in the southwest suburbs of Chicago doesn't look like a typical prison facility. "I always refer to it as the quad," Warden Andrea Tack says, as she takes me on a tour. "It reminds me of some of the college campuses that have [a] big center lawn area and then all the classrooms surround it." She says she's seen inmates who've been transferred to the Joliet facility make huge strides over the past year. People who were attempting to hang themselves and acting out aggressively, "now, they're out and about in the community — going to classes, going to meals, interacting with others," Tack says. "Some are serving as mentors for other residents." "And it's a difficult transition," he says, "because you've been treated in a place where you're continually traumatized, and then you get to a place where actually people care about you." It takes time, Mills says, for many to learn that they can trust and receive help, instead of acting out aggressively the way they've been conditioned to do for so many years. The atmosphere at the Joliet center stands in stark contrast to the experience at some of the state's other prisons, such as Pontiac Correctional Center, located about 60 miles south of Joliet. In his most recent report, Stewart singled out the prison at Pontiac for having a "culture of abuse and retaliation" against mentally ill inmates. "Almost everyone at the mental health unit at Pontiac should be at Joliet," Stewart says. If they were getting that same level of mental health care, Stewart says, they wouldn't have as many behavior issues. Mentally ill prisoners isolated this way "end up throwing feces or urine at staff; end up exposing themselves [or] masturbating in front of female staff," Stewart says. Stewart says the workers themselves are traumatized from their job, and that can make them prone to retaliate. Based on interviews with both inmates and staff, Stewart says he's absolutely convinced that some staff members abuse inmates at Pontiac. In an interview prior to the latest court monitor's report, Baldwin said he would "be surprised" if inmates with mental illness were being abused today. "We take swift action to refer [any reports of abuse] we get to the state police or the state's attorney," he said. "We will not tolerate that." These include peer support groups for staff, access to professional counselors and a recurring class — called "From Corrections Fatigue to Fulfillment" — that teaches staff members about the psychological dynamics of working in the field of corrections. Stewart says Joliet is one Illinois facility that is finally providing inmates with adequate mental health treatment. That should be the norm everywhere, he says. But it's not. "That's the standard of care that's required," Stewart says. When I interviewed Rasho last May, he'd been out of prison for more than a year. But his many years spent in solitary confinement still haunt him. "I don't sleep right," he told me. "Any little thing triggers something in me." Last fall, Rasho was arrested again, so he's now back in the prison system. Mills says the situation in Illinois shows that lawsuits don't always solve the problems — at least not right away. "A court order is great, but it's a piece of paper," he says. "It's not actually treatment." Days before Christmas, he ordered Illinois' prison agency to correct widespread deficiencies. He gave the agency until March to hire enough mental health staff to provide adequate care to all inmates who need it.